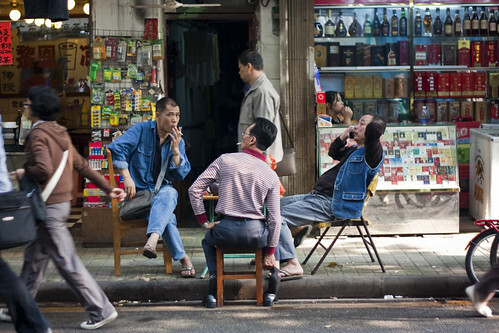 I’ve written a bit about the discarded furniture phenomenon in Hong Kong, where people make up for a lack of quality street furniture by putting household chairs in the street for people to use. 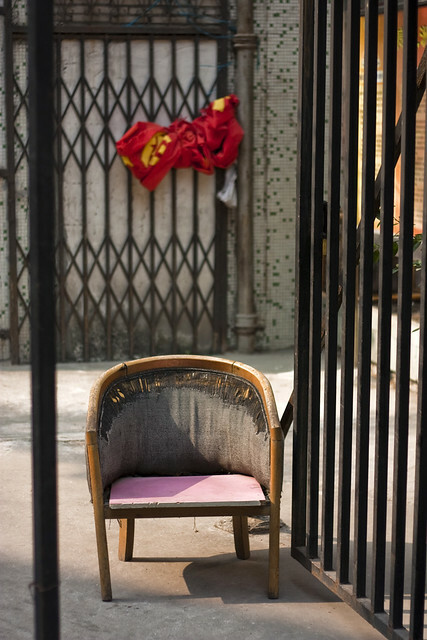 There’s a remarkable variety of furniture found in the streets. 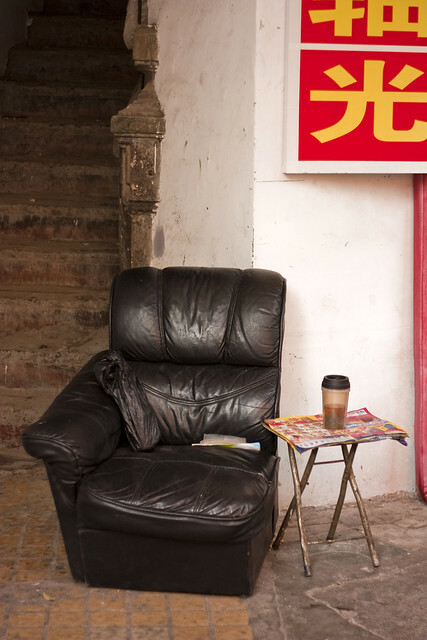 Disassembled sofas are common, along with beat-up lounge chairs and plain dining room chairs. 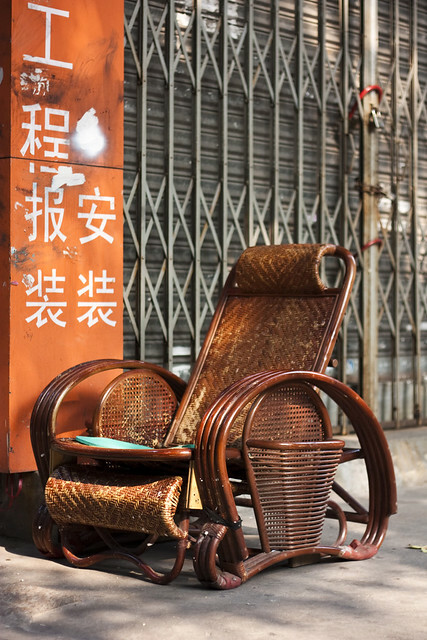 But there are also some beautiful wicker recliners and elegant wooden chairs. 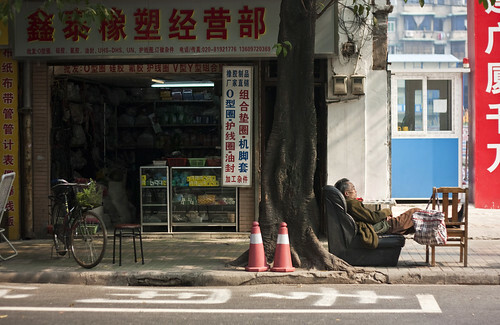 After all, when you spend your days sitting the street, you’d better do it with style. 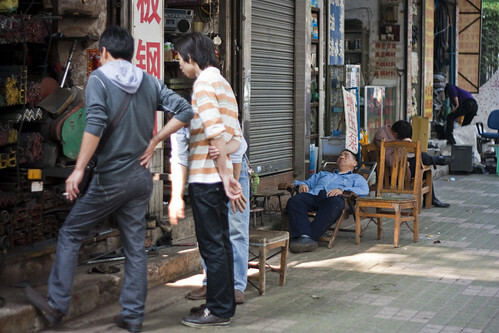 This entry was written by Christopher DeWolf , posted on Thursday May 05 2011at 04:05 am , filed under Asia Pacific, Public Space, Society and Culture and tagged China, Exploring the City, Guangzhou, Street Furniture, Streetlife . Bookmark the permalink . Post a comment below or leave a trackback: Trackback URL. It’s a genius idea, I’ve been to Guangzhou a few times before and noticed this, everywhere should do the same. 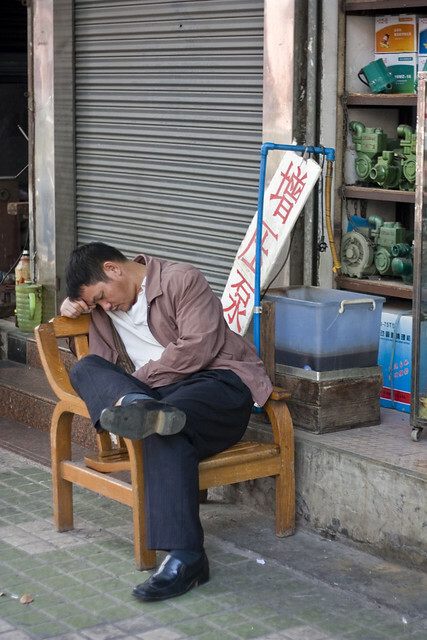 Dispose of your unused furniture in the streets so everyone can have a rest! Heh. Afternoon pal, just came across this great post. It is always interesting to read something that writers have put effort into. Keep up the terrific content! 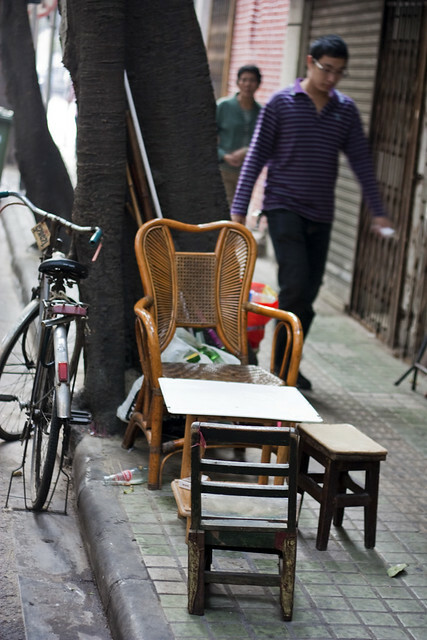 If you want prove that public space can be domesticated take your favorite piece of furniture to the street. The city belongs to us – its residents. Document it and show that the city matters to you.